Skoda’s forthcoming new SUV will be called Karoq, the company has confirmed. Effectively a baby brother for the seven-seat Kodiaq, the new car replaces the Yeti in Skoda’s line-up. At just under 4.4 metres long, the Karoq is more than 30cm shorter than the existing Kodiaq, making the new car about the same length as the Nissan Qashqai and Seat Ateca. So far, all we have seen of the Karoq are these pictures of a camouflaged car. 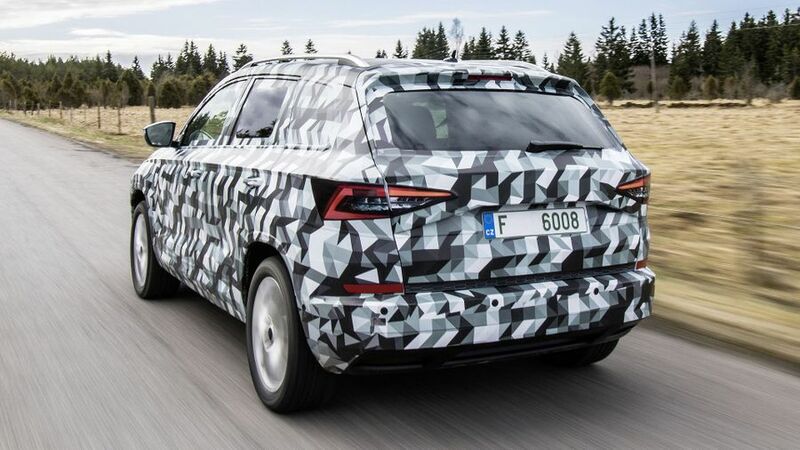 We’ll finally see the real thing when it’s unveiled on May 18, but these images clearly show that the new model will look very much like a smaller version of the Kodiaq. And, Skoda assures us that, like its big brother, the Karoq will provide exceptional space for passengers and luggage. It will also come with the latest technology, infotainment and driver assistance systems that Skoda has access to as part of the Volkswagen Group. We don’t yet know the standard specification of the Karoq in the UK, but Skoda has said that the likes of Apple CarPlay, Android Auto and MirrorLink smartphone integration will be available, along with Parking Assistant, Lane Assist and Traffic-jam assistant systems. 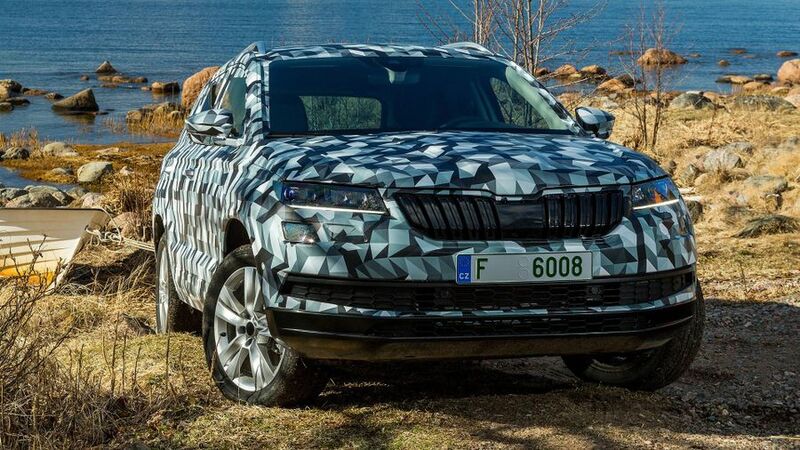 Buyers will also be able to choose Blind Spot Detect, autonomous emergency braking and adaptive cruise control, while the Karoq will be the first Skoda that can come with a fully digital dashboard, similar to the system that is already available with some Audi and Volkswagen models. The five-strong engine line-up includes two petrol and three diesel units, ranging in power from 113- to 187bhp and from 1.0- to 2.0 litres in size. All are available with either a six-speed manual or seven-speed semi-automatic gearbox, with the exception of the most powerful diesel engine, which comes only with an automatic transmission and four-wheel drive. There’s still no firm word yet on when the Karoq will go on sale or how much it will cost. However, we expect it to follow the usual Skoda pattern of being cheaper than similarly sized cars – in this case, the likes of the Ateca and Qashqai – which suggests a starting price of something like £17,000 for the range when it goes on sale in the second half of this year. We’ll know more when the car is officially unveiled on May 18, so come back here then to find out the very latest.